BOWIE, Md. - The Bowie Baysox announce today that the Oriole Advocates will collect new and used sports equipment at Prince George's Stadium Saturday, August 27, as the Baysox take on the Binghamton Mets at 6:35 p.m. The organization collects the equipment for its Cardboard To Leather program, which provides equipment to underprivileged children in developing countries. If fans are unable to make it to the game, they can bring donations to the Baysox office during regular business hours, Monday through Friday from 9 a.m. until 5 p.m. 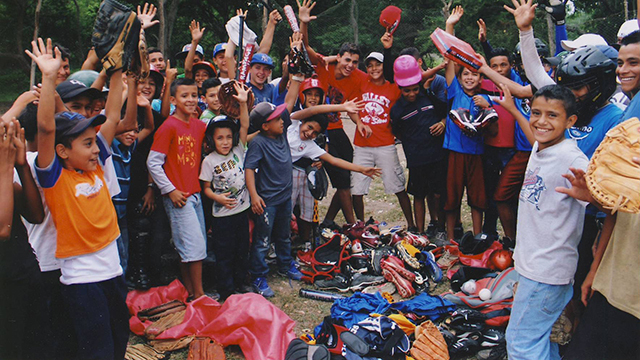 Since the program's inception, more than 50 tons of baseball equipment have been sent to children in developing countries. The 2016 Bowie Baysox season is presented by Money One Federal Credit Union. The Baysox 2016 season is underway. Don't miss a minute of the action as the Baysox defend their 2015 Eastern League Championship. Single game tickets are now on sale at www.baysox.com.